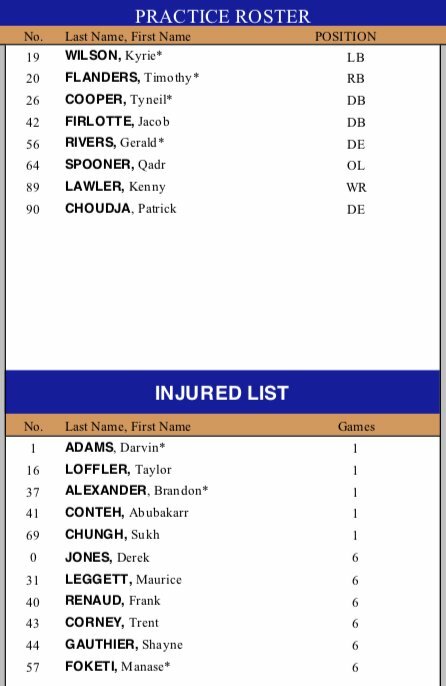 Couture probably starts and Speller is the 6th OL. It does make you wonder if Speller has past Spooner though. Does give thought about sitting Nichols though. Does this mean Speller has past Spooner? Sukh missing his first game ever....I think. What are there contract situations like? Do we need to look at the guy before we decided to offer a new contract? I think both Spooner and Speller are scheduled to be F.A. next year and whatever existing contracts they had were terminated once sent to the P.R. It doesn't really matter if they're signed or not if they end up on the P.R. at season's end, they're free to leave. 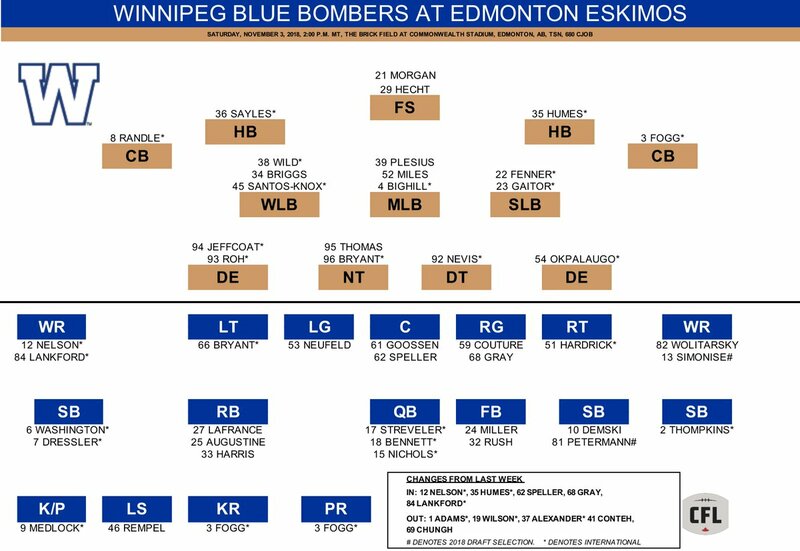 #Bombers expected to sit out a number of starters Saturday in Edmonton. 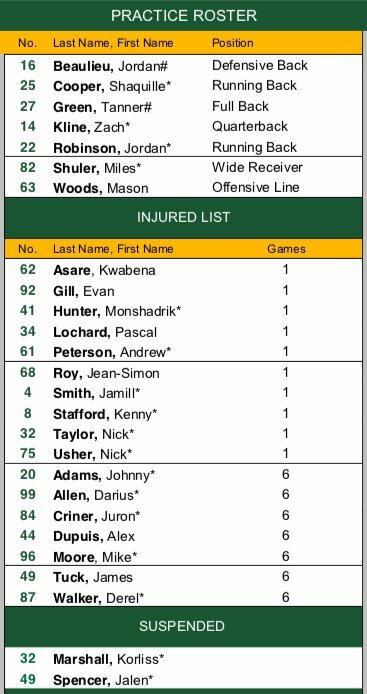 Matt Nichols will dress but won't play. 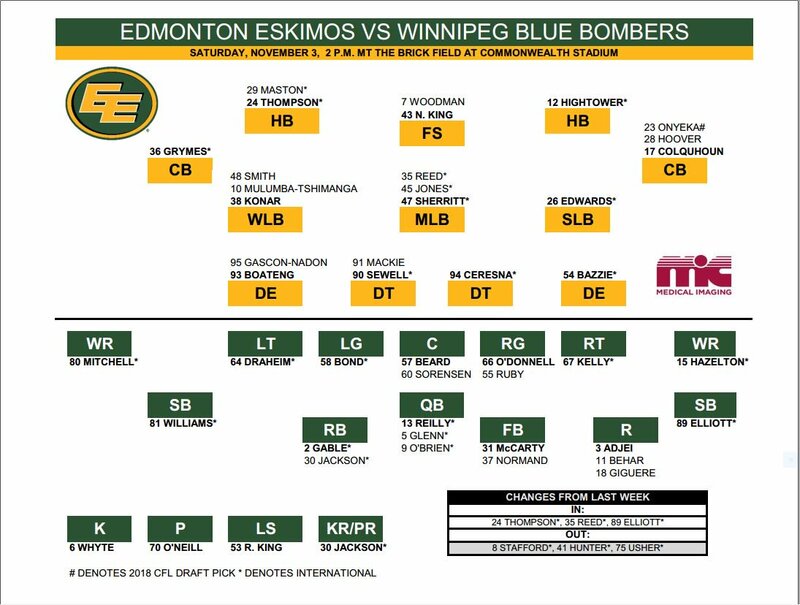 Adams, Dressler, Chungh, Loffler and Alexander all candidates to sit out. If Harris does dress, may we see him get the 8 yards and come out? 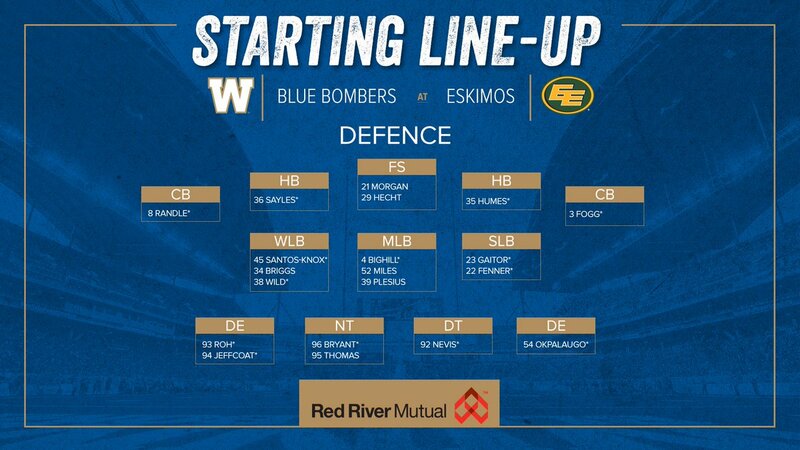 Chris Streveler will also get the start. Dont expect to see Nichols take a snap. 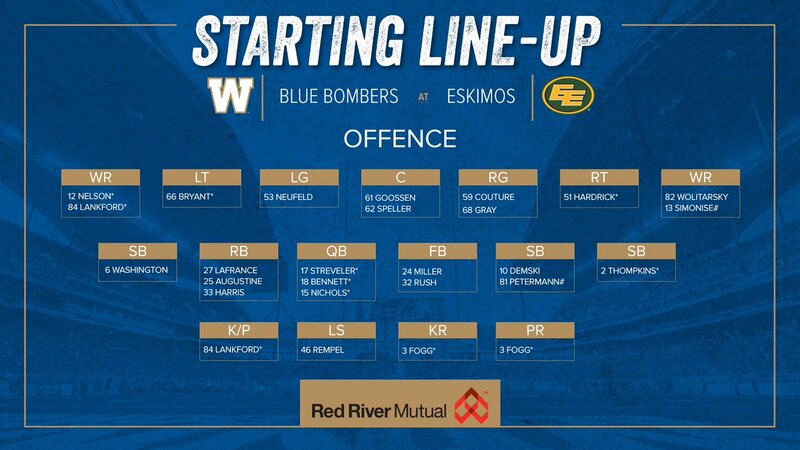 #Bombers scratch Weston Dressler and Justin Medlock. Ryan Lankford, traditionally a receiver and returner, will handle kicking duties this afternoon. I'd put Santos-Knox in there for the second half and have Wild as WLB. Couldn't find much about this player. Wasn't expecting any new players added to PR at this point in the season. Would he have been signed to a future's deal and not a PR situation? In theory the PR players will all be free agents in 3 weeks or less. It will be interesting to eventually see which PR players do get invited back to TC 2019. The CFL doesn't have futures deals. I'd find it very odd if he was practicing this week on the PR so what's the point? Not during a week where we're heading towards a playoff game. That's not the time to be giving reps to a new player IMO. We had those bodies and they were the scout team all season. 22 back ups on the AR and 10 on the PR. It's not like we have a very large IR list. 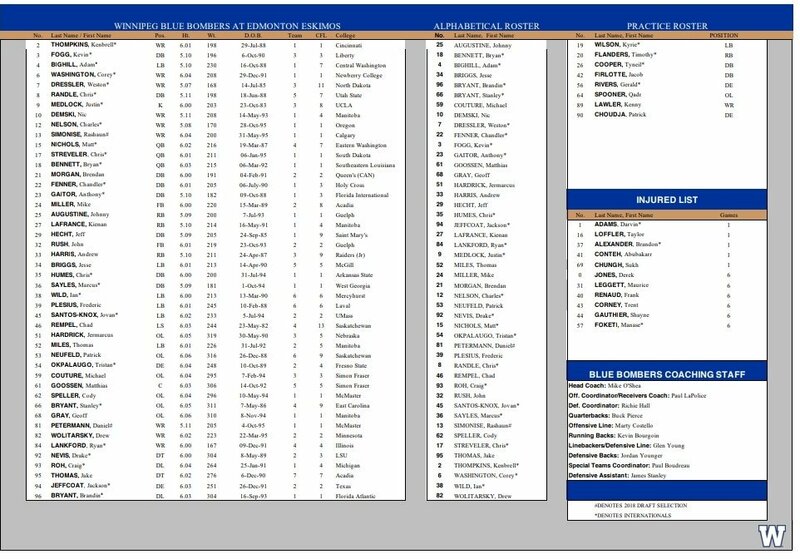 Those on the 1 game IR were just to rest and give some PR guys playing time. Those on the 6 game IR have been there for weeks.